Summer, 1944. The Allied Expeditionary Force is about to clash with the German Wehrmacht on the beaches and fields of Normandie - and leading these men are heroes. Heroes of Normandie is a light-hearted war game with a focus on the action movie style of fighting rather than historical accuracy. 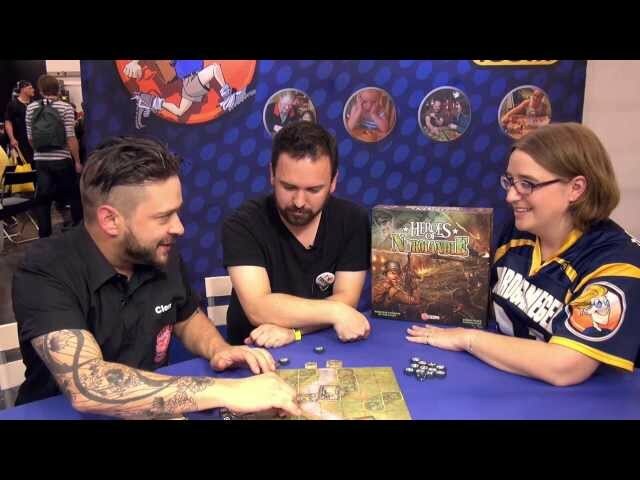 Explosive, fast faced battles ripped right from Hollywood war movies, Heroes of Normandie is a war game without miniatures that lets you enact heart-pounding battles - tanks rolling across hedgerows and elite paratroopers firing machine guns into hordes of enemy troops. Buy Heroes of Normandie for a pulse-pounding game of Germans vs Americans in the traditions of the finest Golden Age Hollywood films. Lock and load! Noble Knight GamesHeroes of Normandie Collection #4 - Base Game + 4 Expansions! Heroes of Normandie Collection #4 - Base Game + 4 Expansions!